Holy Childhood, the non-profit, non-denominational organization based in Henrietta that helps people who have intellectual and developmental disabilities, has officially opened its expanded bakery operation. 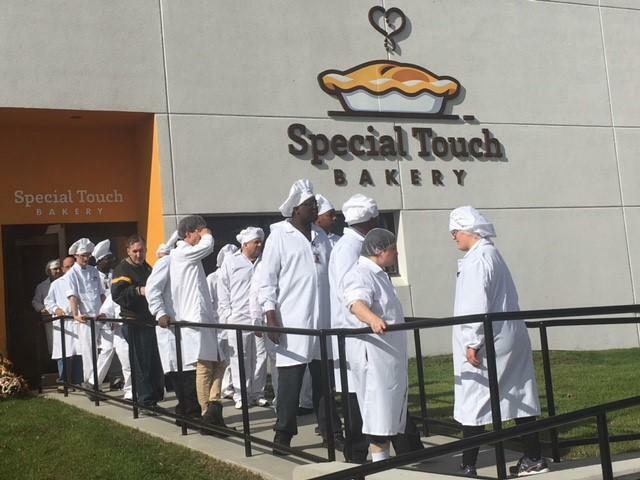 It’s called ‘Special Touch Bakery,‘ and the 20,000 foot facility is located on Mount Read Blvd. It provides employment and training for people with disabilities as well as produces pies, which it has been serving in Rochester for decades. Now, with the help of Palmer Food Services, Holy Childhood has plans to eventually distribute to more than 25 states. Joe Perdicho is project manager for the new bakery. He says people with disabilities hired for the new spot will make the same as other individuals working there. Sherrodney Fulmore is one of the bakers; he used to work at the much smaller bakery located at Holy Childhood in Henrietta, and he says the new facility is quite a change. “Here is bigger machines, a lot of different things, pies taste differently but taste good, but it tastes a little differently, and the place is huge, so a lot of nice people, a lot more stuff here to do,” he told WXXI News. 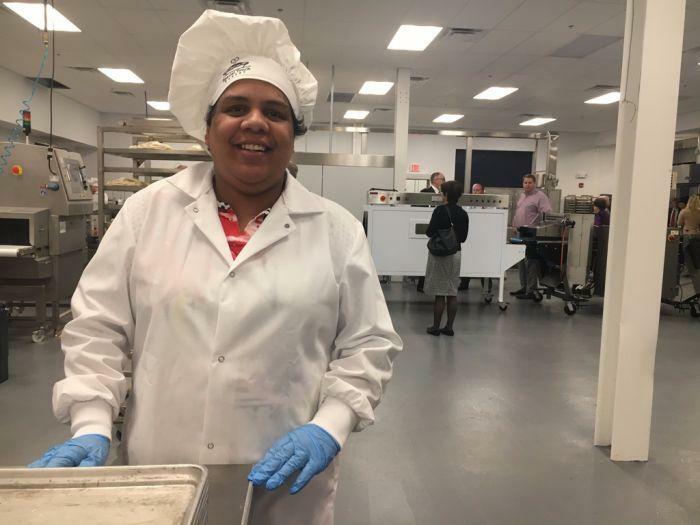 Another baker, Alisa Santiago, is pleased to be moving on from the original, smaller bakery, located at Holy Childhood in Henrietta. “I know a lot of people here, and I get to know more other people, how to do the stuff and training and stuff like that, but yeah, I like it." The expansion project costs $2.6 million. Empire State development is providing a grant of up to $481,000. It will eventually create 40 new jobs.